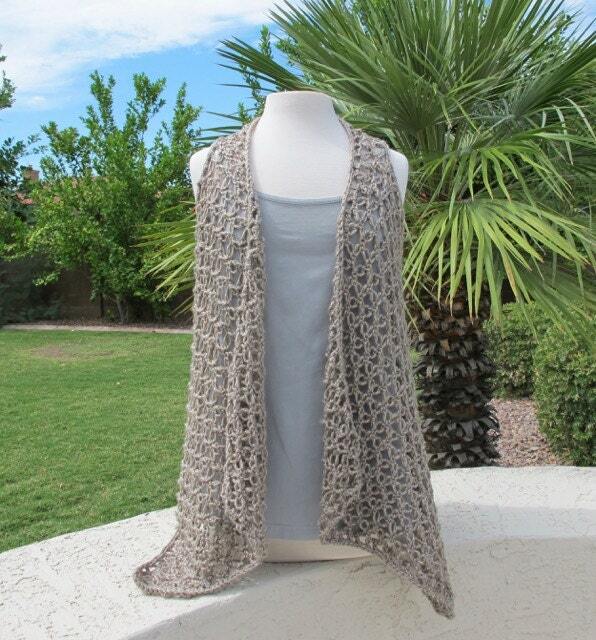 The Solomon's Knot Drape Front Vest pattern is a quick moving and fun crochet project. The vest is light, lacy and makes a great layer no matter the season. The fit is stretchy and relaxed. Included in the pattern are instructions for making sizes S (6/8) M (10/12), LG (14/16), XL (18/20). Pattern notes and pictures will walk you through to a beautiful finish! 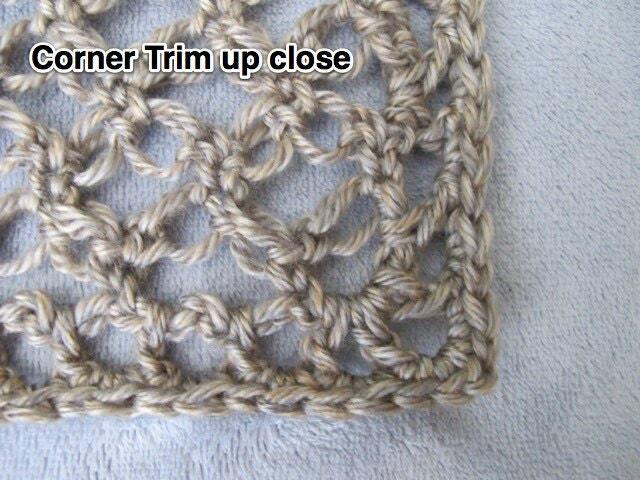 If you have never tried the Solomon's Knot stitch before, never fear. 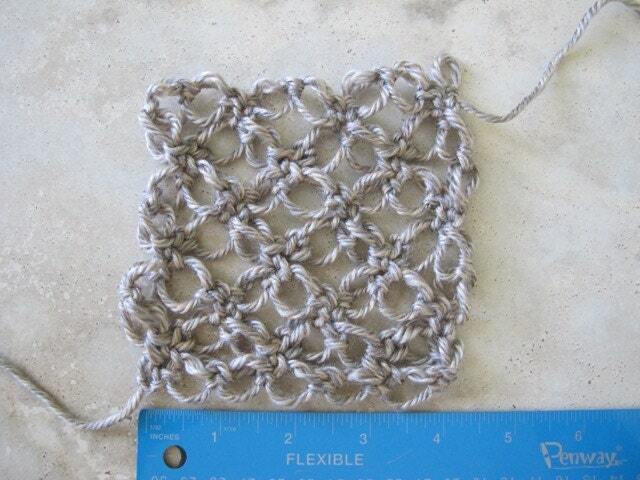 Included with this pattern, is a free tutorial on how to crochet the Solomon's Knot stitch. 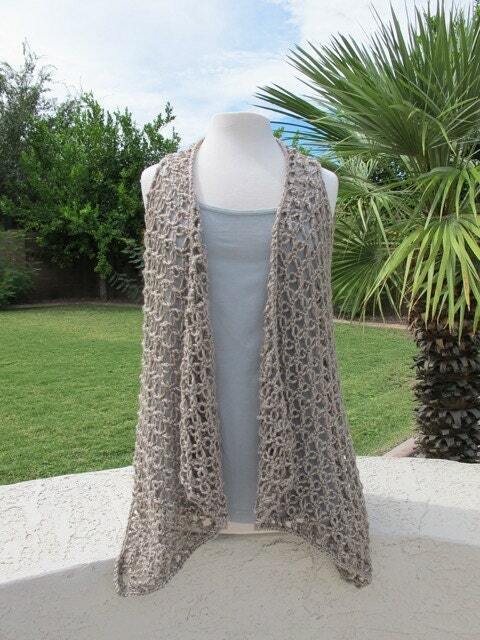 It's full of detailed pictures and instructions to use as a reference while you crochet your Drape Front Vest. You will receive two digital downloads. One for the Solomon's Knot Drape Front Vest pattern and a bonus free tutorial on how to crochet the Solomon's Knot stitch. This purchase is for the Solomon's Knot Drape Front Vest pattern only. It does not come with the vest pictured here. This pattern is copyrighted and for your personal use only. The Solomon's Knot Drape Front Vest may be made and given as a gift, but the pattern may not be reproduced for use by others. 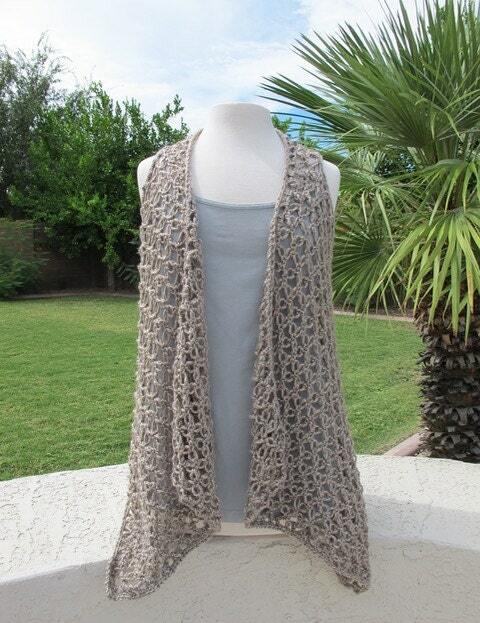 I hope you enjoy crocheting the Solomon's Knot Drape Front Vest!